The aim was to prevent a Pulwama-type suicide attack on a convoy that had left over 40 CRPF personnel dead. Though the Kashmir Valley is often in the world’s focus, geographically it is a relatively tiny place: just about 60 miles by 30 miles. An estimated seven million people are crammed into an area that is hemmed in on all sides by towering mountain ranges. The Valley’s teeming population, growing at one of the highest rates in the world, has in recent decades meant an unchecked urban sprawl coupled with shrinking farmlands, orchards and pastures. One result is the Valley’s growing dependence on the outside world for food and other essentials. And the only way all that can come in, and local produce and people go out, is through a sole highway — National Highway 44 — that runs from Srinagar down all the way to Kanyakumari. A surprise administrative decision last week placed severe restrictions on this lifeline, banning all civilian traffic on it for two days a week (Sundays and Wednesdays) till the end of May. The decree banned traffic on this and the connected National Highway 1 from Baramulla to Srinagar, and thereafter all the way down to Qazigund at the end of the Valley. From here the highway climbs across the Pir Panjal range before descending to the Jammu region. Slamming the gates on the Valley’s sole lifeline left Kashmiris completely aghast. Apart from howls of public protests, several individuals and mainstream political parties immediately sought the high court’s stay on the order, which was denied on account of the administration’s insistence that the measure was absolutely necessary for the movement of military and paramilitary convoys. The aim was to prevent a Pulwama-type suicide attack on a convoy that had left over 40 CRPF personnel dead. The court, however, said it would look into the legality of the ban order and directed the state and Central governments to file their counter-affidavits. Observing that there “cannot be absolute restrictions” on the highway, the court ordered that any citizen who needed to travel for “livelihood or for medical emergency or for study or some other genuine reason has to be given free passage”. In response to this, the state administration agreed to exempt cases of medical emergencies and lawyers. Whatever the legality of the issue, the fact remains that it is illogical, draconian and palpably unfair. Apart from anything else, the highway has an estimated 1,200 schools on both sides and the ban would affect thousands of students, businessmen, workers and tour operators. The Kashmir Chamber of Commerce and Industry declared the ban effectively held the entire population hostage and would severely disrupt the local economy. The KCCI president remarked on the woeful condition of the national highway, which is frequently closed or only one-way traffic allowed. The new restrictions would only add to the existing chaos. 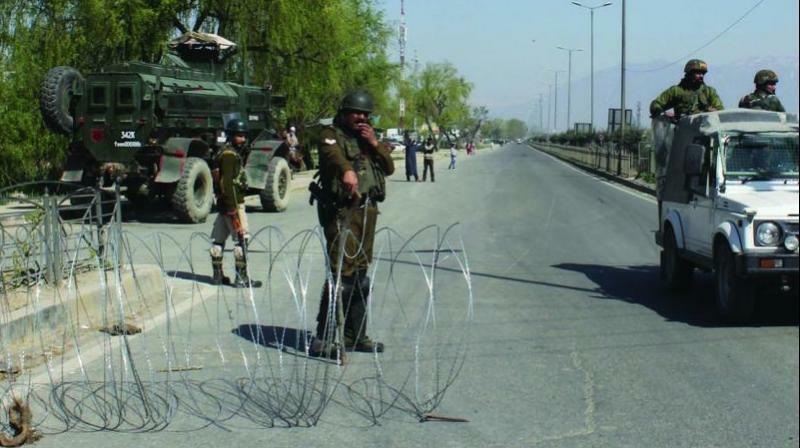 Another bizarre aspect of the ban order are reports suggesting that the Army was not consulted on this decision and appears to have decided to continue plying its convoys whenever required, contrary to the official announcement which had said that security forces’ convoys could operate on the highway only on the mandated two days of the week. Former Jammu and Kashmir chief minister Omar Abdullah took videos of Army convoys moving on the highway on Monday, and tweeted: “If it is safe for SF convoys to move on Monday without closing the highway to civilian traffic, why is it not safe on Wednesdays and Sundays?” The highway ban points to two grave shortcomings in New Delhi’s approach to the Kashmir Valley. The first is the lack of an alternative highway connecting this strategic region with the rest of the country. Hundreds of thousands of crores have gone into the supposed development of Kashmir, but there is no viable alternative route to the Valley and beyond to Ladakh. The question is where did all the money go? Most of it was milked by the so-called mainstream political parties that formed governments in Srinagar, by regime collaborators and of course the bureaucracy. If even a fraction of the money poured into the state was spent on building a modern alternate highway, the state today would have had a world class access route rivalling anything built by the Chinese in their part of the world. Instead, we have one potholed Mughal Road built centuries ago and a single substandard highway perpetually crammed with traffic, both military and civil. This is a national shame compounded by the thoughtless decision of the state bureaucracy to restrict movement on it. The second, perhaps an even more serious lacuna, is New Delhi’s inability to appear just and fair in its actions. The highway ban is just one instance in a long series of decisions that have made the Valley’s traditionally inward-looking Kashmiri feel his interests are never New Delhi’s concern. Adopting a “zero tolerance” policy towards terrorists, separatists and anti-India Islamists is one thing, imposing hardships affecting the entire civilian population quite another. The former is still acceptable, the latter only breeds general disaffection exacerbated by regrettable incidents such as the assault on Kashmiri students and traders in different parts of the country. The local Kashmiri also believes that mainstream political parties are hoisted to power by New Delhi in order to siphon off thousands of crores of development money. This is one reason why elections in the Valley hold little cheer and many consider democracy a sham. One reason why a mere handful of Britons could rule over millions in this subcontinent was the matter of justice. The majority of Indians believed, whatever else their colonial masters might be guilty of, they would dispense justice with a fair hand. This belief in the even-handedness of their British masters, apart from feeding an inordinate appetite for litigation, kept the peace and allowed the continuance of British rule in India. It was only when unjust measures such as the Rowlatt Act of 1919 were imposed and the lakshmanrekha was crossed by the massacre at Jallianwala Bagh that Indians finally lost faith in the British. Thereafter even the staunchest supporters of the British in India admitted that independence was the only solution. In the Kashmir Valley, New Delhi’s actions must rest on the bedrock of justice and compassion. It requires no great intelligence to comprehend that the current rebellion will dissipate only with the rise of Kashmiris’ faith in the Indian system and not by measures that reek of injustice.